Quote: "A cargo boat transporting petrol to Pulau Banggi caught fire following an explosion yesterday, resulting in two crew dead and three others injured, according to the Malaysian Maritime Enforcement Agency (MMEA)." Quote: "Officials say the smoke and fire damaged the truck and one of the vehicles on the car hauler. It also stopped westbound traffic on I-80 for about a half hour due to visibility." Quote: "Around 7:33 p.m. Thursday, Copper Canyon Fire and Medical Authority emergency crews from Station 81 responded to a vehicle fire involving an RV trailer on I-17 northbound at mile post 283.5. Emergency crews arrived on scene to find a large RV camp trailer fully involved in fire, with fire spreading to the brush on the side of the highway, according to a media release from CCFMA." 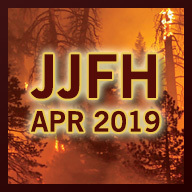 Quote: "Around 8:07 p.m., CCFMA emergency crews from Station 82 responded to a tractor trailer fire on I-17 southbound at mile post 297 in the rest area parking lot." Quote: "A car fire early Thursday morning burned up a detached garage in Saskatoon last night." Quote: "Thursday 31 August, 10.41pm Car fire, A41, Aston Clinton. Two appliances and crews from Aylesbury attended. Firefighters used one hose reel and one set of breathing apparatus." Quote: "Thursday 31 August, 11.38am Small fire in engine compartment of car, M25 clockwise between junctions 16 (M40 interchange) and 17 (Maple Cross). One appliance and crew from Gerrards Cross attended. Firefighters used one hose reel and a thermal imaging camera." Quote: "Cowick Road, Snaith. Thu 31 Aug 2017 15:25 (No:19171) Fire in engine compartment of car, two BA, one hose reel and one Thermal Image Camera in use." Quote: "ABC 15's Taggart Houck was on scene and spoke with North Myrtle Beach Fire Chief Garry Spain. Spain said the building is used by the city for shipping and receiving." Note: Shipping and receiving, like with vehicles? Quote: "Firefighters were called to Deans Furnishers in Star Street shortly before 7.30am this morning (Thursday, August 31). Flames were seen taking hold in the roof of the riverside building as thick, black smoke rose above the town centre." Quote: "The Virginia Beach Police Mounted Patrol is mourning the loss of one of its horses. Disney, a 13-year-old Clydesdale cross horse, had been with the unit since 2011. Disney was on duty working at the Oceanfront when she got sick. She was rushed to get help, but didn’t make it." Quote: "Three Ghanaian Muslim Hajj pilgrims performing the Islamic spiritual exercise have died in Mecca, Saudi Arabia. Confirming the incident to Citi News, the Deputy Communications Director for the Hajj Board, Hajia Marian Cissey, noted that 'so far we have lost three pilgrims; two being women and one is a male.' The two women died in their sleep while the third person, a man suffered a medical condition and died at the hospital." Quote: "Police investigating two men's deaths have confirmed another man was found dead in the same property just days earlier." Quote: "Officials say the body of a 20-year-old male from South Windsor was found in the woods of the park. They say it is considered an untimely death at this point." Quote: "Police Chief Kevin Walsh said the cause of the 5 a.m. single-vehicle crash on Aug. 31 is believed to be related to a medical problem the driver experienced." Quote: "An RCMP officer at the scene said the woman, believed to be in her late 40s to early 50s, suffered a medical incident that caused her to lose control of her vehicle." Quote: "The crash occurred at about 11 a.m. on Aug. 31, on M-89 just west of North 37th Street in Ross Township. That is a few miles east of Richland and just south of Gull Lake. The mishap involved a four-door Jeep and a four-door compact car. The Kalamazoo County Sheriff's Office reported that David Gibbs, 67, of Kalamazoo, was the driver of one vehicle. He apparently crossed the center line of the roadway near 37th Street after suffering some sort of medical emergency." Quote: "The crash occurred around 7:45 a.m. (10:45 GMT) when a truck carrying ink collided with a truck carrying scrap metal. Cars behind them weren’t able to stop in time and the crash soon extended as far as motorists could see. Flames engulfed both trucks and at least 12 of the cars, with the heavy smoke causing visibility problems." Quote: "A 72-year-old man has died on Highway 302 today due to a semi crash roughly 25 km west of Prince Albert near Lily Plain. Prince Albert’s Fire Chief Jason Everitt, who was directing traffic on the scene, said a semi went into the ditch before 9 a.m. this morning and caught fire." Quote: "Wilk said the driver may have suffered a medical episode, but pending a full investigation could not say exactly what happened." Quote: "Police are looking into the possibility that the man suffered a medical episode, but it's still too early to tell, Banasiak said." Quote: "Police said the cause of the crash might have been a medical incident." Quote: "Jewell, from Nashville, said the disheveled man appeared uneasy on his feet, but not dangerous. 'He was just stumbling across the street into the middle of the road,' she said. 'All of a sudden, he was face down in the road. It looked like he just face-planted.'" Quote: "He was seen running along King Street, through St Ann’s Square and across Deansgate on Thursday afternoon - apparently discarding clothes as he fled until he was completely naked. Police eventually caught up with him on St Mary’s Street beside Kendals." Quote: "The incident was declared a Level III disaster at 8:42 am and the National Disaster Response Force was contacted. Two wings of a ground-plus-five storey building on Pakmodia Street in south Mumbai completely collapsed on Thursday morning, killing 16 people and injuring 15. At least 30 people are feared to be still trapped under the rubble, and rescue efforts are under way. Mumbai Fire Brigade officials said the call about the collapse was received by the control room at around 8.30 a.m. on Thursday, and teams were rushed to the spot from the nearby Byculla fire station, reaching the spot within 10 minutes. The incident was declared a Level III disaster at 8.42 a.m. and the National Disaster Response Force was contacted." Quote: "The death toll in the Bhendi Bazaar building collapse has risen to 34 while at least 15 have sustained injuries and 46 people have been rescued in the rescue operations." Quote: "A 65-year-old crew member of the 'Natoma' was medevaced by the US Coast Guard 50 miles north of Oahu on Aug 31, 2017. Watchstanders at the Coast Guard Sector Honolulu Command Center received a request for a medevac at approximately 8:50 a.m., from the captain of the "Natoma" for a man who was reportedly was suffering stroke like symptoms." Quote: "More than 48,000 homes have been destroyed by the storm and the estimated cost of damage is $160 billion..."
Quote: "The morgue in the fourth-largest city in the U.S. is near capacity, prompting officials to ask for a refrigerated tractor-trailer to handle any overflow. The bodies — storm-related or not — have accumulated over the past several days as Harvey's floodwaters swallowed the city, essentially closing down all businesses, including funeral homes. Harris County Institute of Forensic Sciences spokeswoman Tricia Bentley said Thursday the morgue has 175 bodies. Capacity is 200." 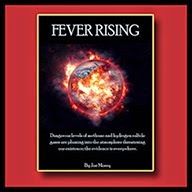 Quote: "The flooding caused by Hurricane Harvey has left thousands homeless in the greater Houston area but there also is rising concern about a biological lab in Galveston that houses deadly diseases, notes Joe Lauria." Quote: "While mosquitoes aren't currently a concern for Persse, they will be in a major one very soon. 'In the short term I'm not too worried about the mosquitoes 'cause all this rain is gonna wash out all the breeding sites for the mosquitoes,' he said. 'But that'll be only about 10 to 14 days, and then we're gonna have an explosion of mosquitoes 'cause there's so much standing water which is all breeding sites.'" Quote: "Armed thieves frequently board buses to rob passengers in Mexico City and its suburbs. But the robberies hit a new high — or low — when three began to work over the same bus simultaneously and got into a gun fight among themselves. Two young men were robbing passengers in the back of the bus when they noticed an older thief robbing those up front. They opened fire on each other as horrified passengers watched."